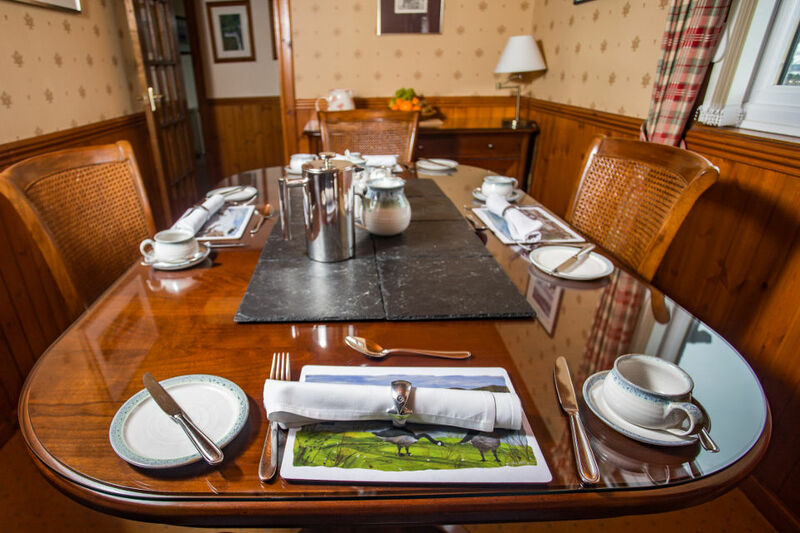 Here at Tir Alainn to complement surroundings there is an emphasis on high quality food (locally sourced wherever possible) which is then simply prepared for you by your hostess, Pam and recognised by Visit Scotland's "Taste Our Best" award. 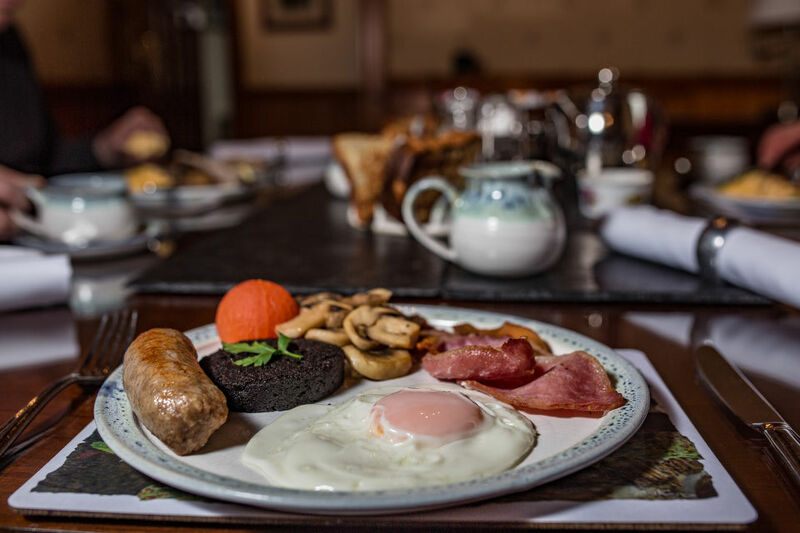 Try our special "Islander" breakfast which includes local free-range eggs (prepared to your preference), prime bacon, mushrooms, tomatoes and Pam's delicious home-made pork sausages! The award-winning Stornoway black pudding is also available on request. 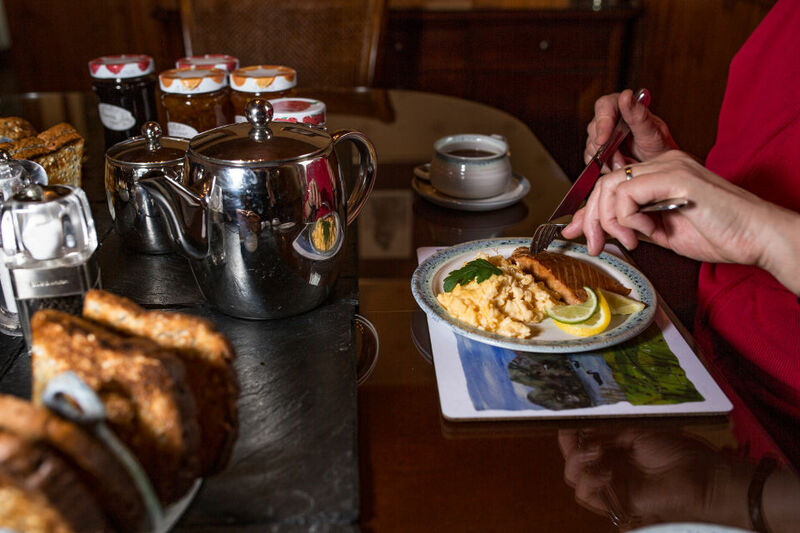 If the "Islander" breakfast is not to your liking, then why not try our smoked salmon and scrambled eggs or our delicious kippers which are supplied by Ian Clarke from Buckie. For those who prefer a lighter breakfast there is a variety of cereals or freshly-made porridge followed by a fresh fruit salad with natural yogurt or a selection of cheeses with cooked ham. All of the above is accompanied by either a variety of teas or a cafettiere of freshly-brewed coffee (decaffeinated is also available). To finish off your breakfast you should try Pam's home-made preserves: a variety of jams and marmalade made to a "Three Chimneys" recipe. The berries are grown in our own garden. Evening meals are available but only by prior arrangement - 48 hours notice is normally necessary. Once again, as with our breakfasts, there is a heavy reliance on local produce. This can include dishes such as local venison (from Clan Donald) casserole, Hebridean seafood roast lamb amongst others. Special dietary requirements can be catered for, but again advance notice is appreciated.